500 Lb. Two Person Lift | Shelving, Inc. 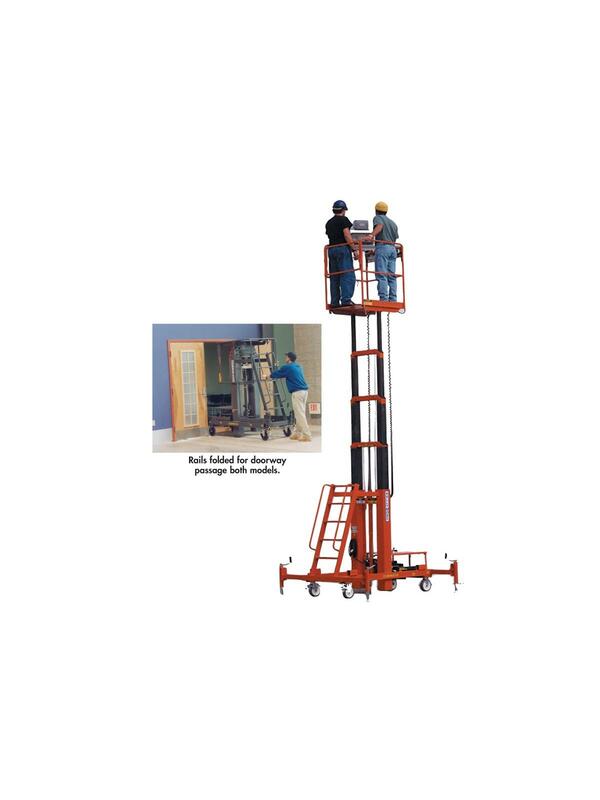 Overhead Maintenance, Repair and Operating problems are solved with this heavy-duty, two person telescoping hydraulic lift. Enclosed 28" x 36" platform. 8" casters for easy rolling and maneuverability. Raise and lower power choices include 120V AC, 12V DC complete with battery and charger or Air-Hydraulic Drive for an additional charge. 500 lb. capacity. FOB Shipping Point. See the Related Items tab for 500 Lb. 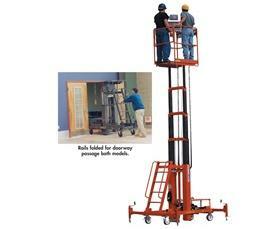 Two Person Lift Options.